Creating payment files for reliable test procedures is not only difficult, but also extremely time-consuming. The BL Test Data Generator accomplishes this task in the blink of an eye according to all content and structure rules. The program offers native support for the SEPA DK standard as of version 2.7 and higher. 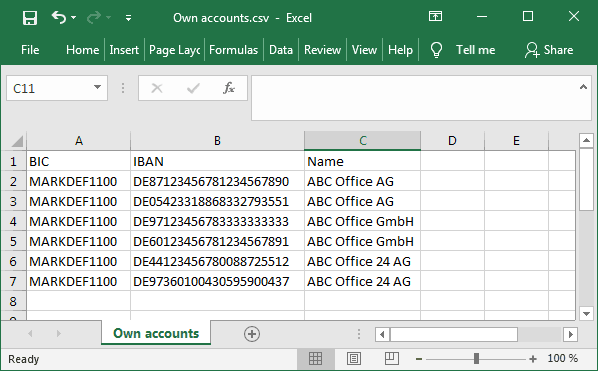 In addition to credits and debits, it can also generate the respective container formats. The program can also calculate hash values as required by the standard for certain container formats. Defining custom XML formats, e.g. ISO/CGI formats, is also easy with the program. Conclusive tests are based on specific data sets. Obtaining reliable information about the tested systems requires data that is specifically tailored to the specifications of the test and not just random data. The Test Data Generator supports the free definition of any data sources, e.g. originator accounts. Data sources generally consist of simple text files. 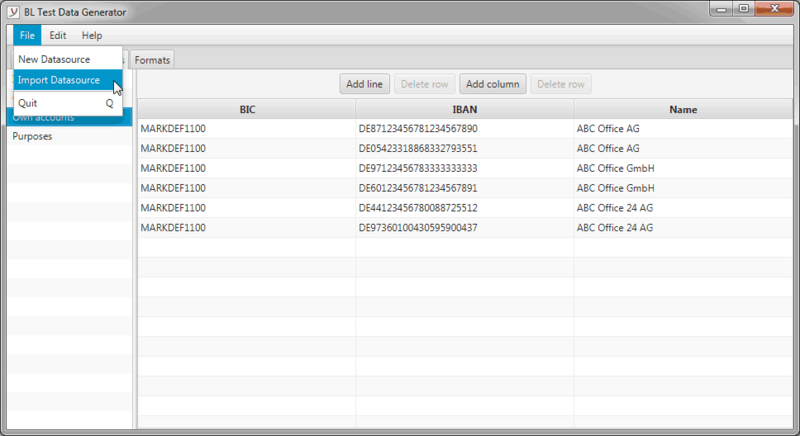 Flexible control: combine test data and create negative test files. Certain tests rely on data being used in a specific combination, e.g. an originator account and an amount or a payee account. In these cases, a data source can be used in the program in which the data to be used in combination is specified in one line. 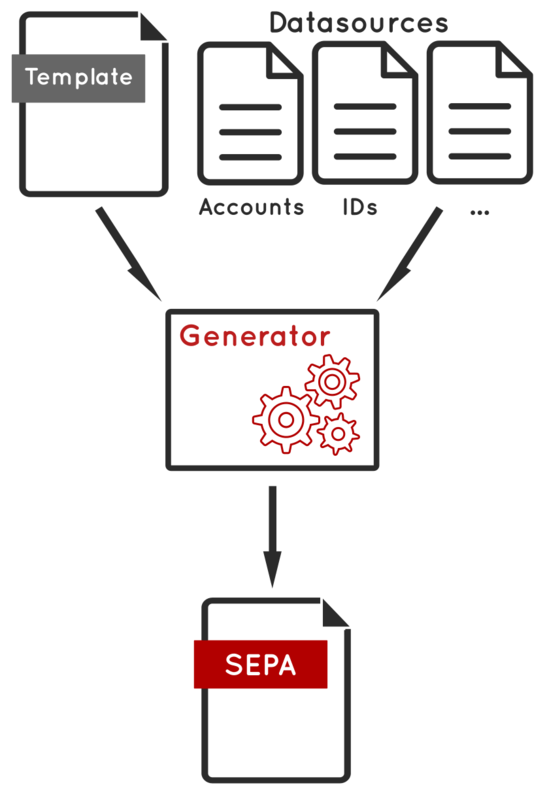 The creation of invalid SEPA files, e.g. with a false checksum or missing XML elements is easy to do with the program. 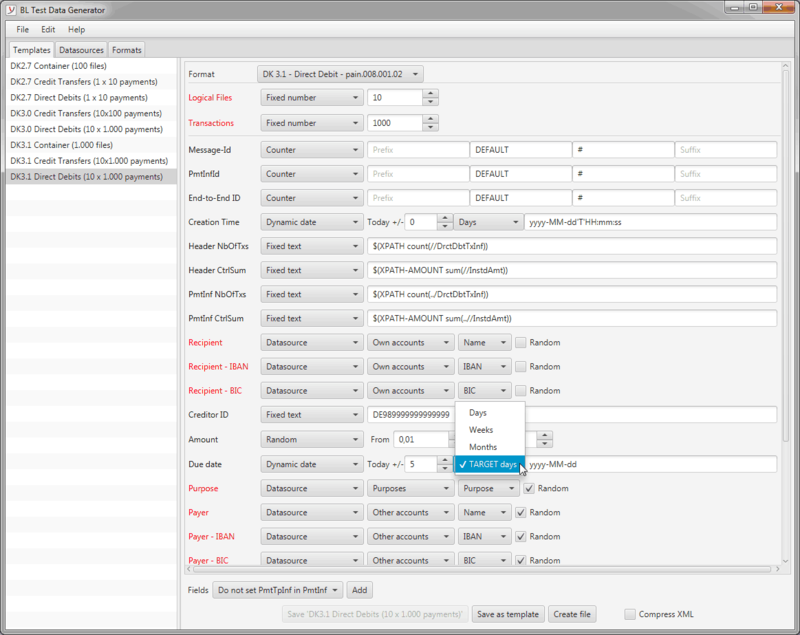 The program can be integrated into every test environment. The generator has a user interface. It can also be used for automated tests via an integrated command line interface. This allows the program to be accessed from external programs or scripts. All that is required is the definition of a template tailored to the test case. The program is available in English and German for all common operating systems and can be used in virtual environments without any problems. Experience the program’s performance first-hand with a test installation. Find out more now! You can reach us by phone at +49 2103 33993-30 or by e-mail at . We’ll be happy to assist you!